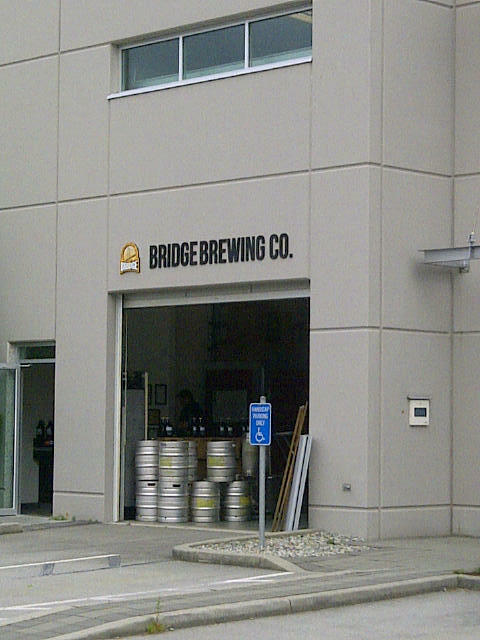 Bridge Brewing Company has recently moved to a new and much bigger location. If this is what you think of when you dream of picking up beer from Bridge Brewing you need to update your address book. No longer is Bridge Brewing a Nano Brewery as they have grown leaps and bounds with this brewery. They are now a full fledged Micro Brewery but even with this huge expansion they have not lost the feeling of the old location. From an open concept tasting room to a nice wood topped bar and wood topped tables you will still feel right at home. One thing that has changed though is that they already have a few brand new beers as well as all of their core beers. They have beer in glasses, bombers and growler fills. So if you have not stopped by the new location yet it is time to change that! They are making the same great beer but can now create even more interesting brews. This entry was posted in Brewery and tagged bc, beer, brewery, bridge brewing company, canada, craft beer, new brewery, new location, north van, north vancouver.